Monday to Sunday: 10:30 a.m. – 6:30 p.m.
Serenity Manor of Canton LLC provides compassionate senior care. We provide older adults with a home-like environment while giving their families peace of mind. 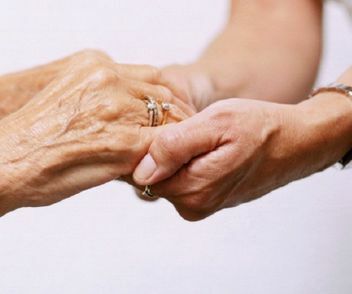 Our staff understands the elderly and their needs. We aim to give our residents the highest quality of life possible while allowing them to maintain their independence and dignity. Our place sits on an acre of land in Canton, MI. Surrounded by greenery and wildlife, it’s as peaceful as the country but not too far from the city. We are fairly close to emergency medical service (EMS) facilities and hospitals. Our home is airy and spacious, with 9 ft. ceilings and large windows. We keep it clean for our residents’ comfort. Everything in our home was designed with our residents’ safety and well-being in mind. Our approach to senior care is comprehensive and personalized. We pay attention to every detail, and our staff is here 24 hours a day, 7 days a week to take care of your loved ones. Let us attend to the needs of your loved ones. You can then focus on enjoying your time with them when you visit, instead of on the stress of caregiving. I can't say enough good things about Serenity Manor. My dad received excellent care there from a skilled staff that treated him as if he were their own. We agonized about whether to entrust our dad somewhere other than home, and now I am sorry that we didn't do it sooner - he was truly better cared for at Serenity than we could do at home. I would recommend this highly to anyone in need of care for their loved one.